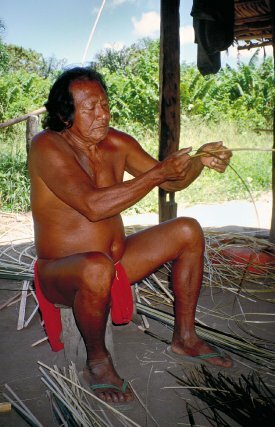 The Wayana are one of the Amerindian communities to be found in French Guiana. They live in the south-west of the territory around Maripasoula. 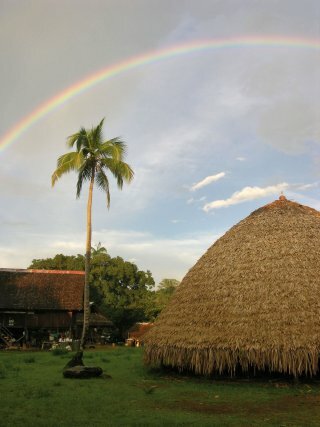 It is estimated that there is a population of about 1000 inhabitants in French Guiana, but their territory stretches into Brazil (in the Paru d’Este) and Suriname (in the Tapanahoni). It is estimated that in all there are somewhere between 1600 and 1800 Wayana. Their language belongs to the Carib language family, like that of the Kali’na who live on the coast (Awala-Yalimapo, Mana, Iracoubo, and so on). But their way of living is closer to that of the Wayãpi who live around Camopi, on the banks of the Oyapock (Camopi, Trois Sauts), and the Teko (Emerillons) who live around Camopi and Maripasoula. 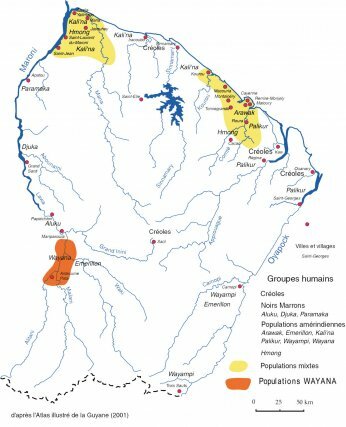 The other Amerindian groups living in French Guiana are the Arawak (Balaté village in St Laurent du Maroni, and Ste Rose de Lima in Matoury), and the Palikur (Tonate-Macouria, Favard (Roura), and St Georges de l’Oyapock). There are also Tiriyo and Apalaï who live on the Litani (Upper Maroni) near or even in Wayana villages. The current group of Wayana results from the fusion of several Amazonian ethnic groups to have suffered from “epidemic shock” after the conquest. They have been in French Guiana since the eighteenth century, having come down the Marouini and Litani rivers from the region of the Tumuk Humak mountains where they had been living since the fifteenth century. They currently live on the Litani and Tampok (Upper Maroni), having settled since the 1950s in villages, in accordance with the desire of the French authorities to better control the populations of the interior and conduct a health policy via village dispensaries. The first schools were built in the 1980s (in Twenké and then Antécume Pata, Elahé, Cayodé, and Taluhwen), helping to bring about the definitive adoption of a sedentary lifestyle by the villagers. Their lives are based on several activities: slash-and-burn agriculture, fishing, hunting, and gathering. Their sedentarisation has caused problems in obtaining access to resources (especially for hunting and fishing). On top of this, clandestine gold mining pollutes the rivers, placing highly destructive pressures on the natural habitat. 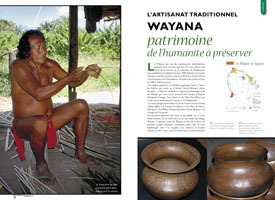 Wayana crafts are amongst the richest and most varied in French Guiana: maluana, basketry, ceramics, weaving using beads and seeds, archery equipment, and animal-shaped benches are all made to the highest possible standards. Non-profit organisations have an essential role to play in protecting these crafts: Cawai (set up in 1985 in Twenké) and Yépé (founded in 1990 in Antécume Pata) sell numerous objects. Cawai had a store in Cayenne in the 1990s. Turnover is on the up (30,000 Francs of craftwork sold per month in 1996). The role of these organisations has extended well beyond craft production, as they have also overseen rebuilding the village “carbet” (traditional hut), providing consumer goods (tools, outboard engines, etc. ), as well as looking after village life in general (in particular acting as cultural coordinator for schools, and organising training courses). Yépé still exists today thanks to the tenacity of André Cognat, but Cawai ceased operating in the 2000s. It is known that J.P. Kingelhoffer, the president and founder of Cawai, had noticed the sharp drop in the use of certain products made in the villages and their replacement by manufactured products. 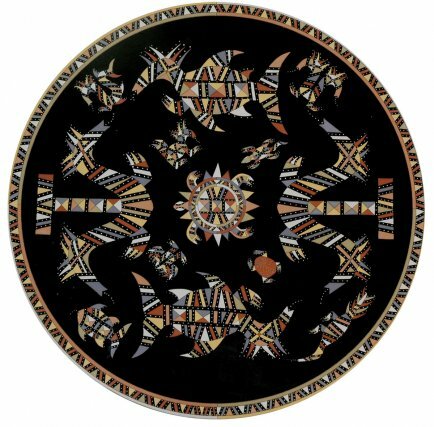 This was particularly the case with ceramics, and one of the reasons which pushed him to set up a non-profit organisation to sell local craftwork (made by the Wayana, Apalaï, and Tiriyo). It is worth noting that it is no doubt thanks to this initiative that Wayana ceramic art has survived up until the present day, for they hardly ever use their pottery which is produced exclusively for sale. Some items have completely disappeared such as the manioc plate (elinat) and large cachiri jar (oha). In addition to the many forms of ceramic which have already disappeared, many basketry models are also currently undergoing the same fate. For instance chilli baskets (humuli), feather baskets (kukuwa), and ilijalita baskets (“the lazy man’s back”) are virtually not made any more. But there has been a considerable increase in the fabrication of maluana. This object, which has a key place in the Wayana belief system and which used to be made only by the Elders, is now made in large quantities by young men who can earn a decent living selling it. Young people are therefore currently specialising in making it using two techniques: acrylic paints and natural pigment paints (coloured clays). This second technique, which had previously been totally abandoned by the Wayana, was revived when a local artist introduced the use of acrylic binders to fix natural pigments. 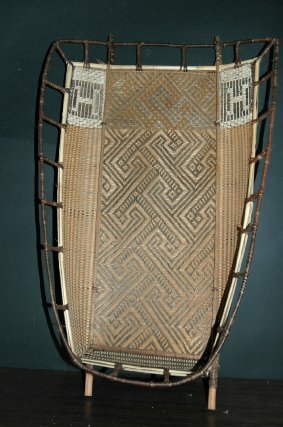 In addition to basketry and the fabrication of maluana, as well as the manufacture of animal-shaped benches, bows and arrows, spears, and war hammers, worn only by men, the women make pottery, cotton hammocks and baby carriers, necklaces, belts, and weju (a sort of loincloth for women) made out of beads or seeds (mainly malamala, Schefflera splendens). As part of a study carried out for a research programme on non-wood forest products, it was observed that a large number of craftspeople were abandoning their practices. They listed the large number of objects they were able to make but no longer manufactured themselves, as they no longer used them and there were no longer any market opportunities for them. On the strength of this observation, and following on from a conference on “Searching for and adding value to forest products – looking for a fair approach?”, it seemed to be a priority to set up a fair-trade marketing network for the whole of French Guyana to sell traditional craftwork and natural products. This project was headed by the Gadepam association and resulted in the opening of a fair-trade craft store in the Cayenne premises of the Regional Nature Park of French Guiana in November 2005. Wayana ceramics are made exclusively by women from clay gathered in the forests along the Litani. After being collected the clay is dried in the village for several weeks. It is ground up and sieved to produce a fine powder which is then wetted before use. 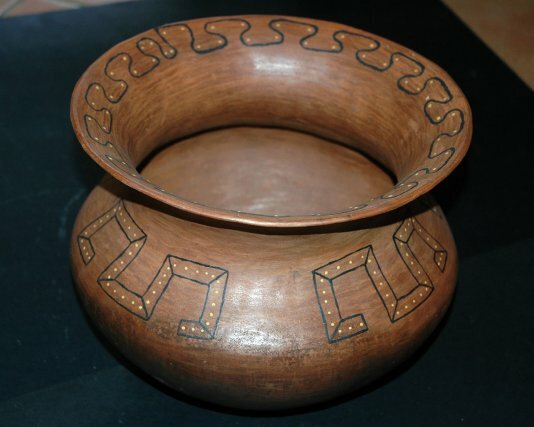 The pottery is not made using a wheel but built up out of coils. 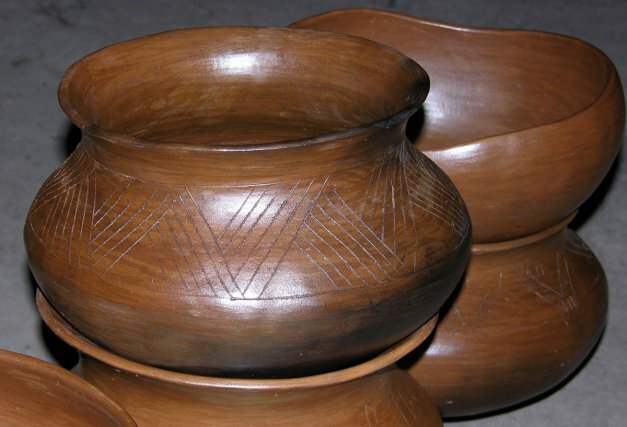 It requires considerable dexterity to obtain a regular thickness and the edges are given a regular shape using a pelo, a piece of calabash (Crescentia cujete), before being smoothed off with a piece of mushroom (piupiu). Once this has been done, the piece of pottery is left to dry for 24 to 48 hours. It is then smoothed using a very hard smooth stone (mele). The ceramic can then be decorated with engravings. The handle of a spoon is now used to do the engraving. Coloured decoration can also be added using red or white clay. Once thoroughly dry the pottery can be fired. Firing takes place in two stages. The pottery is first placed to dry above a fire, using the same technique as for smoking meats. This dries it out and blackens it. It is then fired using various sorts of bark, with each potter having her own preference. The pottery is then removed from the fire and wiped to remove the soot, before being waterproofed with varnish. This is done using a resin taken from the inner bark of various sorts of apulukun tree (Inga alba, I pezizifera, I. bourgoni) which has waterproof properties. The sale of traditional Wayana craftwork has been its salvation. The quality criteria demanded by the various non-profit bodies, and especially the Wayana love of good workmanship has made it possible to conserve their craftwork which is of unusually high quality. At the same time it must be emphasised that the criteria demanded have also resulted in a certain standardisation of the models. A study on ceramics carried out by Egle Barone as part of a mission to create the French Guiana park led to discussions with the craftspeople, resulting in the updating of old models found in museums. The potters thus use patterns from the catalogues they have been given copies of. And so the sale of their craftwork is to a certain degree bringing about a return to tradition. 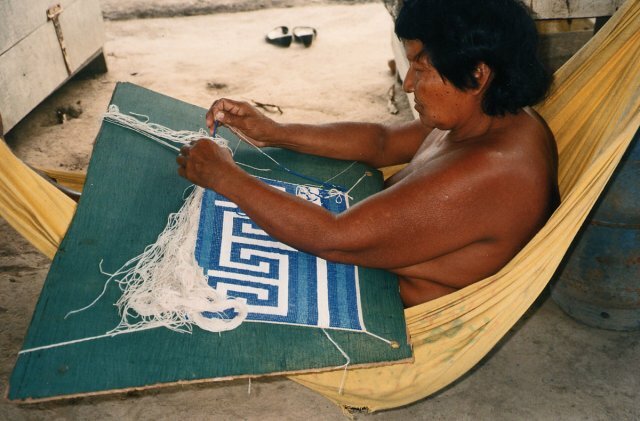 The richness of the Wayana craft industry, to which should be added the closely related Apalaï craft, constitutes a very rich heritage, the significance of which goes far beyond any simple functional use, drawing on myths to retrace their history and cosmology. 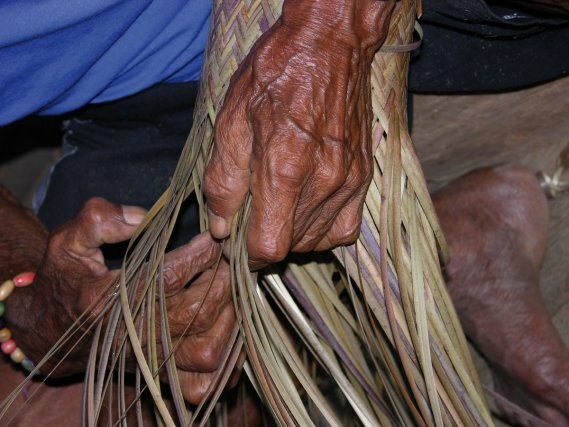 We believe that they deserve to be granted listing by UNESCO as an intangible cultural heritage, as the “Wajapi oral and graphic expressions” in Brazil were in 2003.